Like warm soft pretzels? 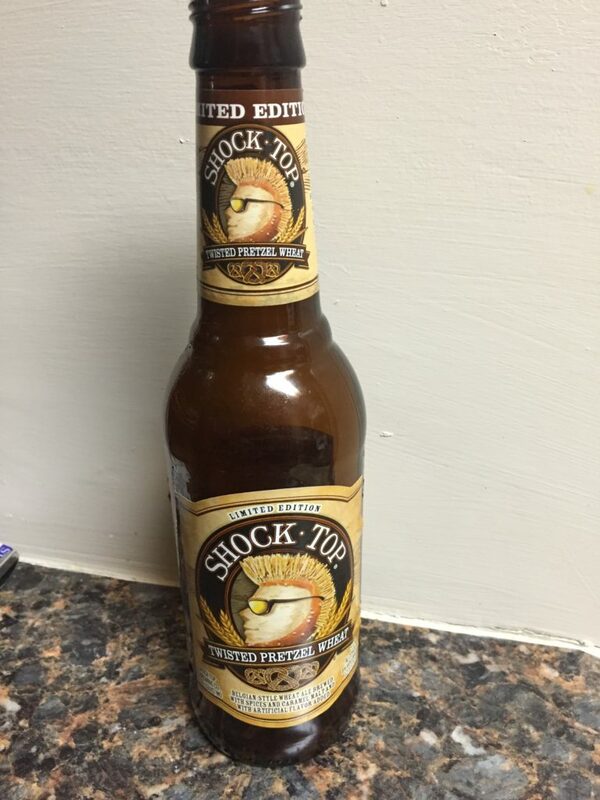 That’s essentially what Shock Top Twisted Pretzel Wheat is, but liquified. First, this is perhaps one of the best-smelling beers I’ve ever sniffed. The taste, however, leaves something to be desired, as there’s no tasty payoff after taking a swig. What it’s missing, in fact, is what folks often put on soft, warm salted pretzels – the kick of spicy mustard. Now, I’m not saying to squirt grey poupon into the bottle, but if there’s any beer that can benefit from being paired with a snack that has a kick of mustard, this is it. I’ll give Shock Top Twisted Pretzel Wheat a 7 out of 10, as it earns most of its points from originality while quickly becoming my favorite scratch-n-sniff of brews. I wouldn’t drink it all the time but I’d definitely like to have this every once in a while, though that might be difficult since it’s a limited edition. While the taste on its own can use improvement, this is one beer that I won’t be forgetting anytime soon.